Here you’ll find all you need to know about choosing the best treadmill for you, reviews, and feedback. More importantly, you’ll also learn ways to make the most of your treadmill, how to stay motivated and how to get in shape when you have a busy life! If you need some help in choosing the right treadmill, you can head over to the reviews. 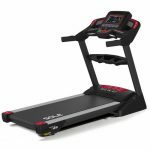 Best High End Treadmill – The Sole F85. Read the Sole F85 Treadmill Review here. 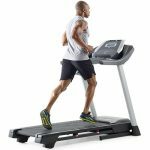 Best Value Bang-for-buck Treadmill – The Proform 505 CST. Read the Proform 505 CST treadmill review here. Confused about what features and what to look for in a treadmill? See our treadmill buyer’s guide here. For tips, motivation, ideas to get the most out of your treadmill and to boost your fitness, head over to the guides. Learn how to burn more fat in less time – Great tips for busy ladies here. Why the search for miracle cures and “weird tricks” will NOT help you with getting in shape – Jen did the opposite and is feeling better than ever. Read the article here. What ever happens, don’t give up! You can do it! Step by step – You can conquer anything when you keep going.